C&IS strives to give its students every opportunity to succeed and excel inside and outside of the classroom. 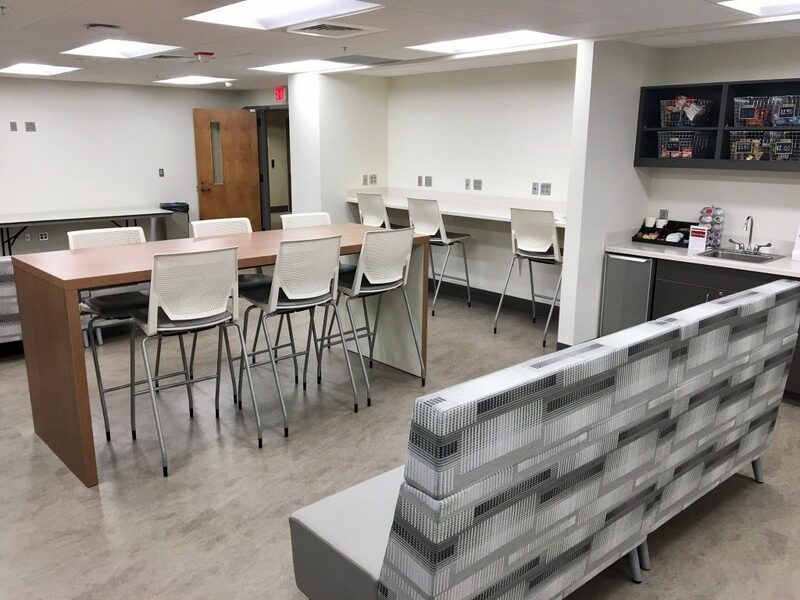 To make the C&IS student experience even better, the old student lounge space was renovated to offer a transformed, comfortable area for students to study, gather together and recharge in between classes. The new student lounge is designed with students in mind. Located in Reese Phifer 103, this space is perfect for student organization meetings, class project collaboration or personal study. The conference room seats 10 and is equipped with Apple TV connectivity on the extra-large, high definition monitor. There is also a collaboration room furnished with white boards for groupthink sessions and brainstorming. For the casual pit stop, the main room is outfitted with sofas and tables, perfect for catching a break before your next class. The Student Executive Council regularly offers refreshments in the student lounge—including a variety of snacks, coffee and energy drinks—as a fundraiser for the SEC’s Student Organization Fund. This fund helps C&IS student organizations secure resources for on-campus events, travel expenses and general organization needs.